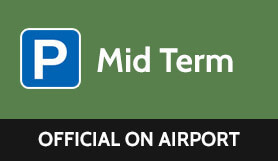 London Luton Mid Term Parking hits the sweet spot when you want a secure option a stone’s throw from check-in. This official onsite parking facility is just five minutes from the terminal. Catch one of the free shuttle buses that arrive every 12 minutes and you’ll be there in the blink of an eye. It’s open 24/7, rates are reasonable and it’s brilliant for bikers — they get to park their rides for free for up to 21 days. Security is as tight as you’d expect, with entry and exit barriers, robust perimeter fencing and regular patrols from eagle-eyed staff. It’s child’s play to use too — grab your ticket at the barrier, choose a space, lock your car and head off on holiday. There are no height restrictions, but it’s not suitable for large vehicles like lorries. London Luton Mid Term Parking makes you laid-back about leaving your car while you head off to the sunshine — it’s officially outstanding. The barrier will automatically recognise your number plate and dispense a ticket. Keep hold of the ticket and pick a space. A shuttle bus will take you to the terminal.